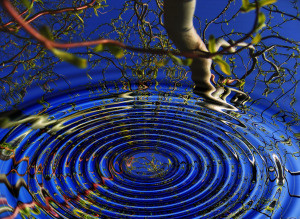 The psychological, social, and spiritual benefits of mindfulness and meditation abound! Learn tips and tricks from mindfulness experts and meditation teachers. What if you could say goodbye to dieting forever? Our guest this week on BetterWorldians Radio says you can, and you should! We’re talking with Marsha Hudnall, the President of the Center for Mindful Eating. She’ll explain how Mindful Eating can help people achieve a balanced, healthy, and joyful relationship with food and eating. Are you hoping for a “happy” new year? Try mindfulness. 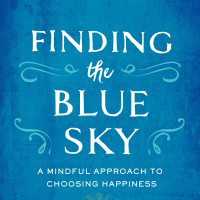 This week on BetterWorldians Radio, we’re talking with Joseph Emet, author of Finding the Blue Sky. 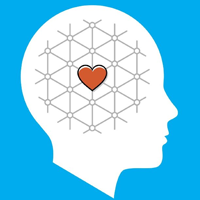 Emet will discuss how mindfulness can help listeners choose happiness by replacing negative thoughts with positive ones. 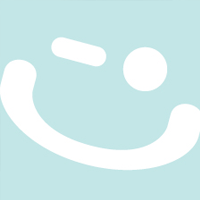 Emet shares tips and tricks for a happier, more fulfilling life. Stressed out? Trying opening up a coloring book, it’s a great form of meditation! This week on BetterWorldians Radio we’re talking with Dr. Nicole Martinez about the many benefits of coloring for adults. 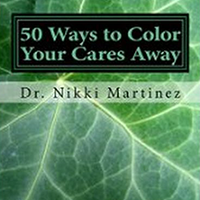 Dr. Martinez will explain how coloring can help reduce stress and relax the brain. 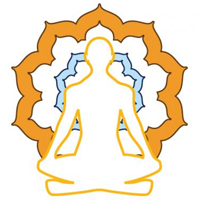 How can Transcendental Meditation change lives? This week on BetterWorldians Radio, we’re talking with Bob Roth, the CEO of the David Lynch Foundation, a nonprofit that helps to prevent and eradicate trauma and toxic stress among at-risk populations through promoting widespread implementation of Transcendental Meditation. Roth will explain how the foundation is helping reduce stress for victims of abuse, children in need, and veterans suffering from Post Traumatic Stress Disorder. This week on BetterWorldians Radio, we’re speaking with Dr. Norman Rosenthal, author of Super Mind: How to Boost Performance and Live a Richer and Happier Life Through Transcendental Meditation. 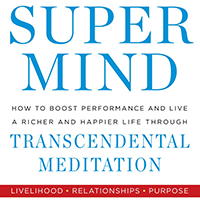 Rosenthal will discuss Super Mind, and tell listeners about the ways Transcendental Meditation (TM) can lead to more creative, more productive, and happier lives. He’ll explain how TM has impacted the lives of “super performers” such as Cameron Diaz, Jerry Seinfeld, and Hugh Jackman. It only takes one minute of mindfulness an hour to stay centered all day long. Our guest this week on BetterWorldians Radio is one of the world’s leading experts on communication, spirituality, and the brain: Mark Waldman. Waldman will walk listeners through several quick meditations and exercises, as well as discuss his upcoming book, How Enlightenment Changes Your Brain. 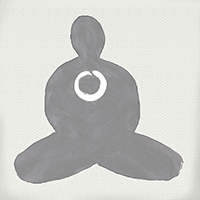 This New Year, give yourself the gift of meditation and mindfulness. We’re speaking with expert Matthew Frum about the benefits of beginning a mindfulness practice and daily meditation. Frum will walk listeners through two meditations to get started and describe the difference the practice has made in his own life. What if a few simple practices could help improve your well-being? 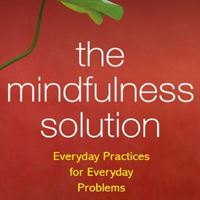 This week on BetterWorldians Radio, we’re discussing The Mindfulness Solution: Everyday Practices for Everyday Problems. Our guest is author Dr. Ronald Siegel. Siegel will explain how mindfulness can help improve lives and will walk listeners through several meditations to help them get started. If you want to change your life, you need to change your brain! This week on BetterWorldians Radio, we’ll discuss how to change your thinking to get the most of life. 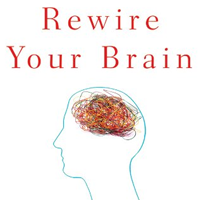 Our guest is Dr. John Arden, author of Rewire Your Brain. 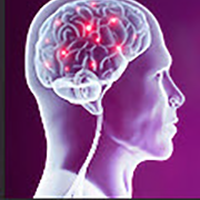 Dr. Arden will walk listeners through simple and practical techniques to rewire your brain to improve virtually every aspect of your life. Tune in every week to hear new guests share how they are making the world a better place and to learn how you can become a BetterWorldian! What if the secret to living a happier life lies within your power to change the way your brain works? This week on BetterWorldians Radio we’ll talk about how absorbing the good moments each day can improve your life. Our guest this week is best-selling author Dr. Rick Hanson. Hanson lays out a simple method that uses the hidden power of everyday experiences to create a life full of happiness. Tune in every week to hear new guests share how they are making the world a better place and to learn how you can become a BetterWorldian! When it comes to happiness, practice makes perfect. This week on BetterWorldians Radio we’ll talk about the surprising way to become a happier you. Our guest this week is Happiness Expert Dr. Matthew Della Porta. He’ll discuss how developing good habits, such as practicing gratitude and giving back, helps cultivate happiness. Tune in every week to hear new guests share how they are making the world a better place and to learn how you can become a BetterWorldian!